Executive functioning coaching is a hands-on, nuts and bolts approach to managing deficits in specific areas. Let’s take “memory,” for example. There is very little research to substantiate any of the claims that you can improve your working memory by playing specialized computer games and apps; however research does support the finding that you will get really good at playing that game (but the gain is not generalized into everyday life)! Knowing and accepting that you have poor working memory skills, you can work with a coach to learn ways to avoid forgetting and losing things, like using reminder systems, wipe boards, launch pads, and establishing routines. A coach will first help to uncover the the specific executive functioning deficits, and offer practical, concrete strategies that can be developed with the client, and monitored by the coach. When there are other psychologically-based reasons mixed together with poor executive functioning, like anxiety, depression, poor self esteem, and emotional dysregulation, therapy can address these. Therapy for clients diagnosed with ADHD is a bit different than one might imagine more traditional psychotherapy. It often includes elements of executive functioning coaching interwoven into the sessions, offering practical solutions to solvable problems. It’s interactive, goal oriented, and driven by the client’s objectives. Not all problems have solutions, and in these instances, individuals must learn to cope and “manage” and keep it from taking control of their lives. ADHD doesn’t exist in a vacuum, and for individuals who have been misunderstood, mislabeled, or underachieved for a number of years, there are bags full of cognitive distortions (skewed ways of looking at things), missed opportunities, and self-blame to unpack and reorganize. We teach cognitive-behavioral strategies and regulation skills to treat individuals diagnosed with ADHD and other co occurring conditions that are often overlapping, including mood and anxiety disorders. In our collaborative approach to treatment, we also regularly communicate with other professionals a client might be working with, including psychiatrists, primary care doctors, school counselors, and when appropriate, their workplace. The advantage to working with ADHD experts at Orchid is that the therapist and coach are in constant communication, so progress in each domain can inform the treatment plan in the other. 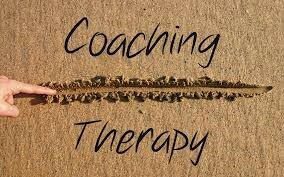 This team-based approach to treatment empowers to the client to get the most out of each session.